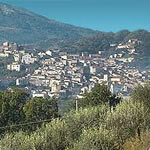 VacanzeCilento.net is the portal for your tourist holiday in the Cilento. Power search for bed and breakfast, farmhouses, resorts, hotels and holiday homes in many countries is the beautiful Cilento coast inland to the National Park of Cilento and Vallo di Diano. The sea of Cilento and the many tourist resorts most famous seaside resorts of Campania are among the most awarded the Blue Flag and Sail of the Legambiente. Each year the Cilento welcomes tourists looking for a quiet place where unspoiled nature reigns and where the hospitality and friendliness of Cilento it extends a unique environment of its kind. The excellent connections by sea with Cilento Amalfi Coast and Capri, allow guests to meet and visit the famous and crowded places and to return in a short time in serenity and peace of Cilento to relax and enjoy the full slow but pleasant pace of life that remains cilentana.Non choose one of the tourist facilities on this web site dedicated to the Cilento and book your vacation at sea, countryside and medieval villages of the Cilento National Park. Monte San Giacomo stands on the "Serra la Manca" in front of the Valley of Calore river in the range of Diano, near the town of Sassano. 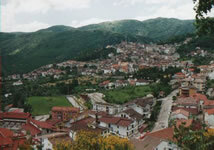 It is part of the Park of Cilento and Vallo di Diano and falls in the mountain community Vallo di Diano. The name binds strongly to the cult of the saint. According to tradition, a company dedicated to religious worship of St. James, during a pilgrimage, stopping in the area and built a church here dedicated to the patron saint (St. James, which is celebrated July 25). On July 26 is celebrated St. Anne. The typical dish of the area is "patan' e cicc": a "pesto" of stewed potatoes and beans which is added paprika. You can eat it with fried dried red peppers. Its origin is lost in the gastronomic culture of the community sangiacomese that exported this particular dish throughout the world. The dish is celebrated each year during the festival on 28 and 29 of december. March (23) there is the "Festa della Primavera"
May: "Festa della Madonna dei Cerri"